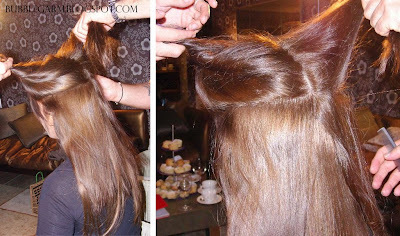 Yesterday I attended a lovely and exciting event organised by Boudoir PR, it was for a exclusive styling tutorial by Neil Moodie on how to wear different kind of hair extensions. As you all know I am rather obsessed with longer hair and have experimented in the past with clip in and sew in hair extensions. I have recently dyed my hair back to its natural hair colour and now wish to grow it super long whilst keeping it healthy. 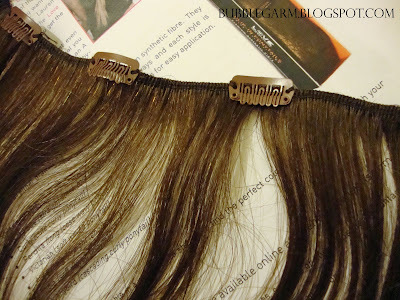 This event came at a perfect time as I was actually on the lookout for clip in hair extensions for my new hair. I decided not to go for sew ins again as I have come to realise that they did actually damage my hair. 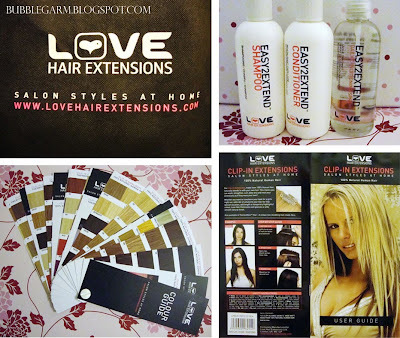 Love Hair Extensions was founded in 2004 under the expert directorship of American Dream, Britain’s longest established trade firm in hair extensions. Clip ins are a great alternative as you can clip them in and out whenever you want depending on the hairstyle you desire. 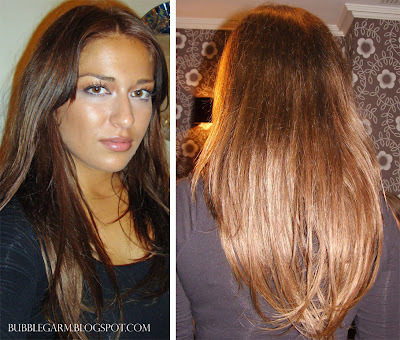 You can also add lighter or darker wefts to alter your hair colour or add volume without damaging it. We watched 3 demos and all of them looked super natural and wearable. Hair is SO important and really makes a BIG difference to how one feels and looks. The change can be as subtle or as dramatic as you like. The best thing with clip ins is that you can control it, it's cheap and doesn't take to long. The 1st demo was on a blonde girl that had her hair slicked back and a clip on ponytail was attached. The 2nd demo was on a girl who had very dark long hair, she had lighter and darker wefts attached for some colour and volume. The 3rd demo was on a girl who had a very short bob, she had a few wefts of hair clipped in for medium length hair. He applied them by backcombing a tiny strip of hair so that the clips had something to hang on to. In total I had 3 wefts applied to the crown of my head. These were all 18". The colours used were: 2X (6) Dark ash brown and 1 X (4) Chestnut brown. The clips are so tiny and rounded that you hardly notice anything in your hair. I got away with applying 3 wefts, but I think 4 wefts would have been better. Once they were all in, the fronts were cut with a razor so that the layers blended in with my natural hair. I love the outcome, what do you think? Love hair extensions do various types of extensions, synthetic hair for the clip in ponytail, thermofibre hair which you can apply a low heat on and 100% human hair extensions which are ethically sourced. I have found the prices to be very reasonable and there are even some great special offers on. these look gorgeous on you!! the 3 wefts look decently thick too!! i usually go with 4 on myself - but what an amazing event i wish they had stuff like that where I live lol! Those extensions look really good. How long do they last? I've never had hair extensions done before, since I'm pretty iffy about the whole thing... but maybe some day I'll try them. Wow they match up with your hair really well and look very natural. Wow! They match perfectly. They look amazing. I am definitely going to look into this as I have been wondering where to get some of these from for my upcoming wedding. Hurrah and thankyou for the perfect timing! Hey, they look great... i LOVE my own human hair extensions, I bought them from Selfridges 'Hot Hair' department about two years ago and they have been brilliant! Definitely provide a confidence boost every time! Clip ins are the best! No hair damage whatsoever. I've been using mine for a while now for volume (usually only when I go out).. but I feel sad I can't play with different colors, since my hair is just black now. Yours are a perfect match for your new hair! gorgeous! i wanna try em! @princesa livia they will last for roughly 3-6 months if you wear them everyday and style them everyday. They can last for years if you wear them now and again and take excellent care of them. @petrichor thanks sweetie, but i think you can add lighter colours to the back, as when its curled they will blend in and u will have amazing highlights, the 2nd demo i watched expressed this beautifully, try it u will be surprised! Oooh very cool and natural! And you love beautiful by the way! They look great... a perfect match! It looks great on you! And so natural looking too! I don't use hair extensions since my hair is pretty long =] I need to cut it soon, even though it doesn't have splint ends yet. I've never thought about extensions before i keep my hair ridiculously long and there's a hell of alot of it so i guess I've never needed too. all the extensions I've seen on other people look really tacky but yours look really natural and if i didn't know i never would have guessed that they are extensions! fake it till you make it doll! Stunning - I don't think I could tell that these are extensions and not your own locks...!!! I just stumbled upon your blog and I saw your pic. I thought you looked like Leona Lewis. you are gorgeous! anyhow, I'm following you now! woo! After wearing a Clip in hair extensions she looks more beautiful and glow of her faced looks amazing.